The letter below was sent to members of the SCM Support museum. It is great to see these updates and hopefully will keep sending these in the future. 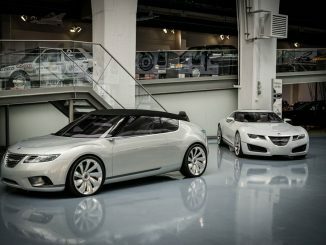 The Saab Museum needs your support! Membership is only 200 SEK / 21,40 EUR / 23.40 USD per year which can be paid via Paypal, money transfer or swedish Bankgiro So if you’re not a member yet or want to renew your membership, please visit their site and show your support to the museum and the men and women who make it all possible to save the cars and Saab’s heritage for current and future generations! Images are from my recent visit to the museum. Thank you very much for showing your interest in our organization and especially the few that informed us your opinion of our shortcomings. But I also assume you still have a strong interest in Saab cars and Saab Automobile AB historical development. I also ask to be excused for the long explanation of the situation Saab Car Museum has had to live with since the bankruptcy. As you might know in January 1990 GM took over management of Saab Cars and a 50% ownership, the other half was still owned by a company in the Wallenberg group. From 2000 GM owned 100%. The Saab brand continued its operations and improved its quality with support by GM knowledge and technology. Unfortunately GM was very late aware of its own profitability problems. In December 2009 GM decided to sell the Saab operation and concentrate their efforts on the GM core brands as the financial situation for the Group got untenable. Both GM and Ford did clearly show that they did not understand the European Low Luxury segment. For Saab Automobile employees and some industry observers it was obvious that General Motors started winding down its Saab activities far before the sale to Victor Muller and Spyker in 2010. The optimistic owner Victor Muller tried to restart Saab Automobile AB but was not able to get financial supporters GM could accept. Mr. Muller from Spyker was at this time seen as Saab-saviour, but in late 2011 bankruptcy was unavoidable. The company was unable to pay its employees and suppliers. – 70 % City of Trollhattan with financial support from Marcus and Amalia Wallenberg Foundation. We are proud that the Saab Car collection is intact. It is truly world unique including Concept Cars, prototypes from Saab 92.001 “URSAAB” and all Saab models until m2012. Only three fulltime employees are working for the Saab Car Museum. They are supplemented daily by one volunteer and Saab-veteran (two in peak periods), donating one full day to guide visitors. In some museums they are called Docents. At Saab museum it is an appropriate designation as most have worked decades at Saab Automobile AB. The museum owns ≈100 000 documents and photos created by Saab employees until the bankruptcy in 2012. The Saab Car Museum does not have a Car manufacturer as owner/sponsor as most car brand museums. Consequently the museum operation needed to adjust its way of operating to stay within budget. All the different Saab Clubs in Sweden and the powerful organization Saab Veterans of Trollhattan decided in 2012 to start an autonomous Saab Car Museum Support Organization with the task to build funds for safeguarding a continued development of the Saab Car Museum for all devoted Saab fans in the world. Saab Car Museum Support Organization was given a hunting license for money. Our Support organization has just learned to crawl after the first years of operating. In the beginning the task we were given was to raise funds for the running budget of the museum. But thanks to the financial support from the City of Trollhattan and the Western Region of Sweden, we do not need to focus on that. Instead we can focus on taking care of the unique Saab Heritage and create funds for activities and exhibition development. We are very careful before we start using our funds – the money is coming from our members. All volunteers on the Board are unpaid and we even pay travel costs ourselves. I do hope that this give you a backdrop for our work- we are still in an early build-up phase and I agree and understand that we have not yet been offering our members what they have the right expect. An obvious problem is that we have to build funds before we are able to use them. As some members told us in clear words – we have been to introvert dealing with our internal challenges and missed out on keeping you updated. And I wonder how many members have read the few Saab Historic Documents available in English on our website? I would be surprised and sad if you have not been informed about these! 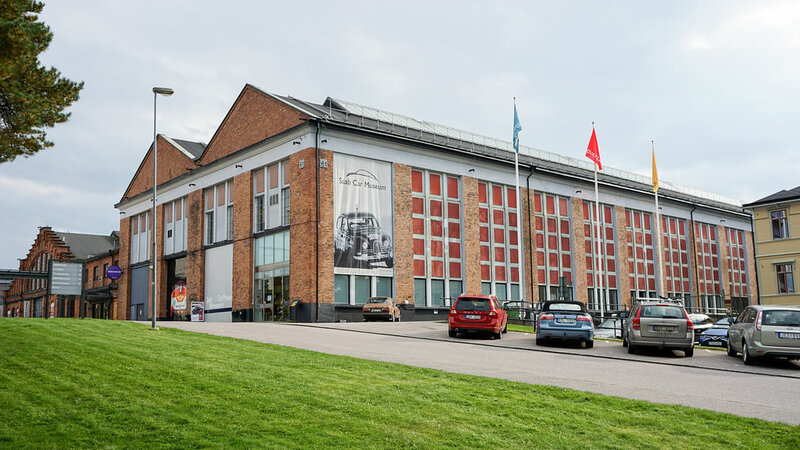 I am willing to take a chance guessing that one reason for you to willingly pay the membership fee every year is the fact that you want the Saab Car Museum to be Nr 1 of all Car Museums, open to visitors every week during the full year. 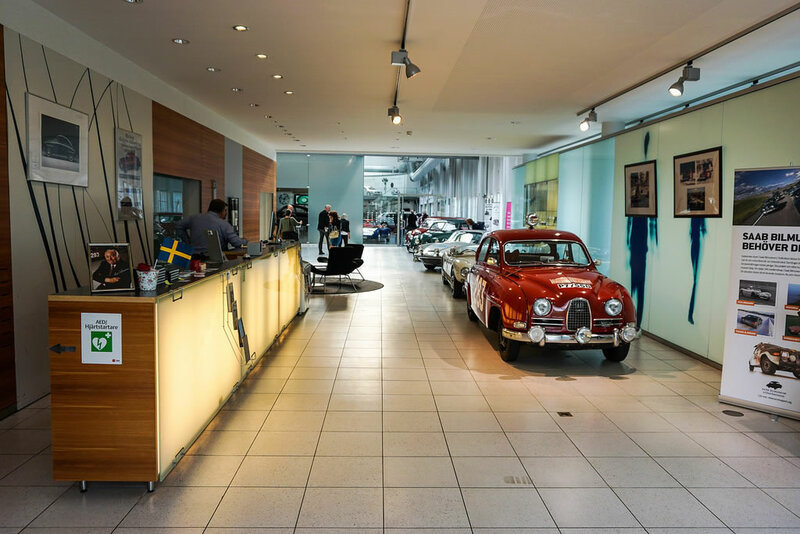 The museum is displaying all Saab models, Concept Cars, engines, transmissions, chassis and various Saab memorabilia. 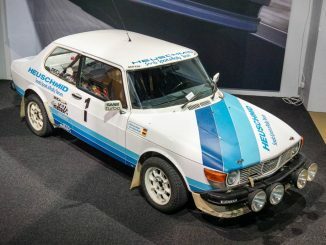 Another reason for you to be a member is also to get interesting information regularly about Saab Automobile AB history and the activities carried out by the Saab Car Museum Support Organization. On this point we have failed to satisfy the needs of many members, especially those living outside Sweden and members outside the area of Trollhattan. This letter is the first try to fill part of this void. Please feel free to give feedback via email and give us your ideas on further improvements. 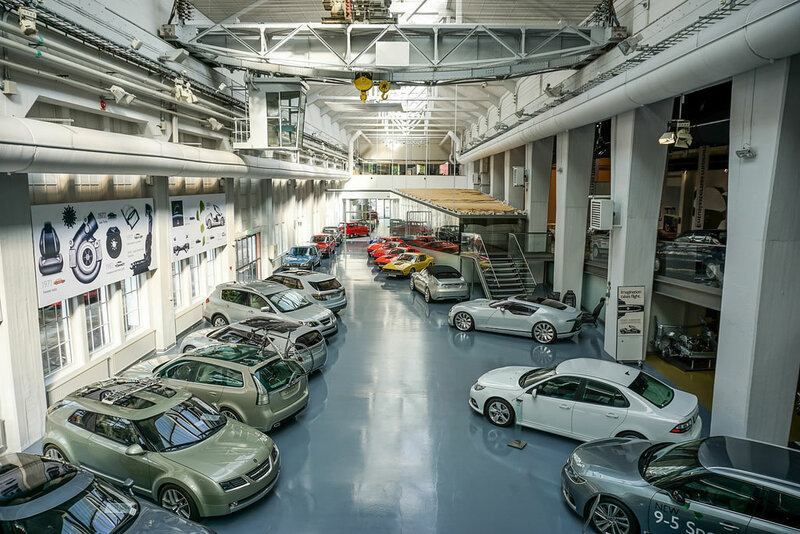 Through your yearly membership fee you are contributing a modest but over the years important financial support for continued improvement of the Saab Car Museum. As a first major project we have decided to finance three large interactive computer screens to the museum. A database has to be put together with information that will be available to access from these screens. This work will go on during many years. The museum has vast amounts of stored documents about the development and production of Saab cars. Most of the documents in these archives has not yet been studied but is a very valuable and unique raw material for persons willing to write about the history of Saab Automobile AB. About started and future Projects. These projects are selected from various available proposals, some of them received from members. In cooperation with management of Saab Car Museum we select suitable projects that many visitors will find attractive. From start of our organization until now we have collected donations and member fees total of 370 000 SEK ($ 43 000 $= 8.55 SEK). Of this amount ≈ 75% is planned for projects to be carried out in 2016-17. An example of a project for 2016 is the 30 Years Jubilee of Talladega “The Long Run” where the restoring of Saab 9000 T16 No 1 has started. Please find attached 3 historic articles about Saab/Saab Automobile AB translated to English from Swedish. They should already have been available for all our members on our website. But we might unknowingly have had some unknown technical glitches for a long time. Please let me know. Our much larger “sister” organization Saab Veteranforening in Trollhattan (Saab Veterans) with ≈1300 members have a well developed website. It contains a large number of interesting Saab-historic articles in SWEDISH. The few documents translated to ENGLISH are stored at their website. Please see links in the following text. Tool Designer Hugo Möller wrote the second article. He worked at Svenska Aeroplan AB airplane factory in Linköping and worked already in the Saab 92 development. The management board asked him, to personally and under high secrecy to develop a plan for converting the airplane factory to a complete car manufacturing plant. He managed to finish this gigantic planning work in 3 weeks “locked up” in a hotel room. The third article describes the project ”Talladega Long Run” from early preparations to execution and then delivering a large number of ”speed -distance World Records ” in 1986, written by the Project Leader Olle Granlund, working at Saab Cars from early 1960s until retirement. The 4th article is already written in Swedish. It describes the life of the “Father of Saab”, Gunnar Ljungström M.Sc. and his selected team of engineers who worked at Svenska Aeroplan AB. For the final version there is still more research work remaining. Gunnar Ljungström worked as Group Leader for Wing Design from 1939. In 1944 Ljungström was given the task to make a feasibility study for a possible future Saab car development to be ready for production after WWII had ended. It is known that Volvos unexpected presentation of the Volvo 444 project in November1944 triggered Saab to make this feasibility study. In June 1945 the Management Board for Saab appointed Ljungström as Chief Engineer for Saab to start the development of Saab 92. He had already selected a small group of engineers mostly from the Wing Design department. The 1st prototype was built in 1946 at the Linköping plant and often called “UR- SAAB”. It is prominently displayed at the Saab Car Museum in Trollhattan. Ljungström retired in 1969 after leading the development of Saab, 93, 95, 96 and Saab 99. We plan to publish this article, describing his life from birth in 1905 to retirement in Swedish and English before July 2016. His selected team members work will also be described in the text. We will also make a printed version after deciding on the format, binding and picture content. Printing costs will be covered by a donation already received. The books/booklets will be sold by the Saab Car Museum for an estimated price of about ≈ US 30-50 depending on size, number of photos. A more in depth separate article is planned for the team members at a later date. 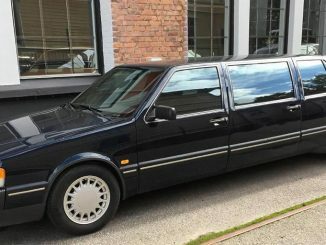 The Saab Car Museum Support Organization is aiming for a minimum of 200 000 Swedish Kroner (SEK) in donations to be able to perform the 30 years Jubilee activities starting in summer 2016 as planned. Some donations from the sponsors of the project in 1986 are expected, and we are also hopeful to receive donations from many Saab-enthusiasts and Saab Clubs. We have collected more than 60 000 SEK, i.e., still missing 140 000 SEK. We will deeply appreciate all donations from members of Saab Car Museum Support Organization and all Saab History interested persons may make. Donations to a Fund in the memory of Saab famous rally driver – Erik Carlsson “on the roof”. Erik unfortunately and unexpectedly died in a fall accident last summer just before the Saab- festival in Trollhattan started. We have already started preparations for building a Fund in the memory of Erik. A number of Saab Clubs have sent Donations to the Support Organization with the request to start such a Fund. More details will be published before this summer. It’s a wonderful museum. I haven’t been there in years. Another time, I went to the museum just after I picked up my new Saab as a European Delivery car and found the museum closed for remodeling. That was in May 2005. They were to open later in the month. Any thoughts on an overseas membership category where one could be offered museum entrance for a family every other year? If one is from overseas, they are not going to be visiting the museum several times a year. I agree, but for such a small sum it helps them keep the museum open and maintained. I have paid in full but have not YET visited.